A press embargo was just lifted on Monday, dropping a bombshell of new Fallout 76 information on the gaming community. If you’ve already entered your doomsday shelter and don’t know what’s going on, Fallout 76 is an upcoming release from AAA game developer Bethesda Game Studios, and it’s the newest offering in the legendary Fallout series. But what makes Fallout 76 even more special is that it’s going to incorporate multiplayer for the first time in the franchise’s more than 20 year history. As you might expect, this is both an intriguing and utterly frightening prospect for fans of the series. Will Fallout 76 be like a post-apocalyptic Destiny 2… or more like ARK: Survival Evolved? Will the beloved features of single player Bethesda games be lost, or will the thrill of multiplayer add new depth to the series. 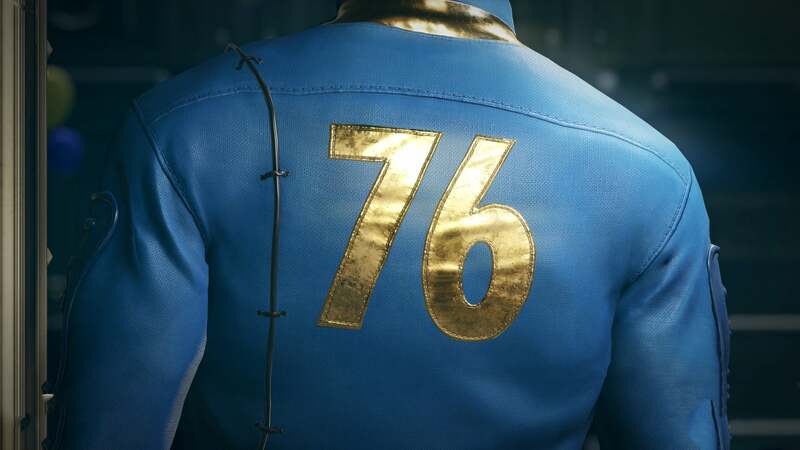 We’re happy to report that Fallout 76 falls somewhere in the middle; it incorporates the best of both worlds. 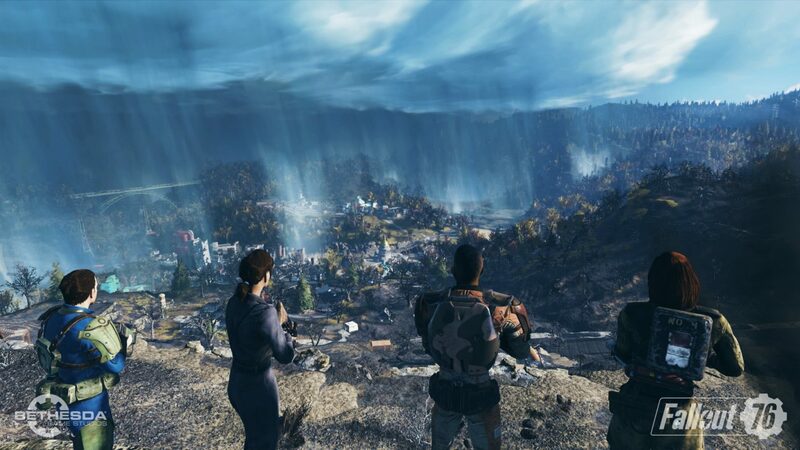 Fallout 76 is set in post-apocalyptic West Virginia, and while the previous Fallout titles took place long after the end of modern civilization, Fallout 76 takes place just 25 years after the great nuclear war. Because of this, post-apocalyptic civilization is far less developed. It’s up to you, as the architects of vault 76 intended, to rebuild the world. The full game doesn’t release until November 14th, but so much has already been revealed about life in this irradiated new world. With the B.E.T.A. later this month, you’ll get the chance to see it all for yourself. Xbox One BETA start date: Tuesday October 23rd – Keys here. PC and PS4 BETA start date: Tuesday October 30th – PC keys here and PS4 here. To get into the BETA you’ll need a key. A key is included when you pre order the game for Xbox One or PC, or you can simply buy a key on its own HERE (we have them available for PC, Xbox One, and PS4). In Fallout 76, you’ll find many of the features you know and love from open world Bethesda RPGs. You’ll choose a name, choose a face, and then venture out into a vast, perilous, and rewarding world that is 4 times larger than Fallout 4. In “Appalachia”, the choices you make will matter, the stats and perks you choose will alter the character you become, and the quests you complete can unlock great power. In fact, much of Fallout 76 perfects and expands on the gameplay we saw in Fallout 4: crafting, combat, and base building are all very similar; what’s different is how you interact with this world that is now shared. Fallout 76 takes the gameplay of Bethesda era Fallout games and makes it more communal, interactive, and meaningful that ever before with multiplayer. Let’s not kid ourselves: while it’s technically possible to play Fallout 76 as a single player experience, it’s literally a multiplayer game– and that’s the best thing about it. However, players can go ahead and play solo like they used to in previous Fallout titles– there just will be difference of contact with other real life players. Just like in Fallout 4, strange scavengers might attack you, a mysterious merchant might sell you something, or a brave companion might lend you a hand in defeating a mutated monstrosity. All of these interactions are still possible Fallout 76, but now, behind all of them, will be real humans players just like you. One of the most devastating and frightening new additions in Fallout 76 are the nukes; they’ll take out a whole chunk of the map and permanently change it. Nuclear armaments aren’t new to the Fallout series, after all that’s how the game world became so post-apocalyptified. But now, in Fallout 76 you (or one of the other players that populate your world) have the power to launch these agents of devastation… so please be nice. Another benefit to Fallout 76 now being an online game is that the experience will be constantly updated. In addition to substantial DLC offerings like in the past, new community events will be constantly occurring, new areas will be added to the map, and new storylines will unfold. Fallout 76 will grant you access to a post apocalyptic gaming service, complete with it’s own currency and shop, ready to keep you constantly discovering new things. More information will be available on this aspect of the game as we get closer to the release date, and as we get closer to experiencing the game first hand in the BETA later this month.